Download our robot update software to get the full robot experience or change your robot's language. Update your M.A.X. 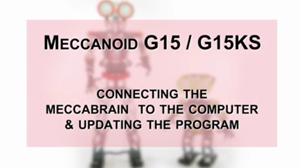 or Meccanoid to the latest version. Need help updating the robot? Windows Vista (32/64 bit) excluding Starter Edition - with the latest Service Packs.